Disclosures: I know the author, and she is warm and brilliant, and I love working with her. I don't typically love middle grades novels or fantasy/adventure books. Because of the latter, I would not have picked this book, and maybe not even have finished it except for the former. Even though this ain't my thing, I'm glad to have stuck with the book for one of its central themes: that good and bad coexist, including within ourselves. "You think of good and bad as something separate? There is no darkness without light, no light without darkness." The above is from a snappish, cane-waving crone. "You must see and accept the face of your shadow self, but never lose yourself in the darkness," the old woman was saying. "If you do that, no one can fetch you back." 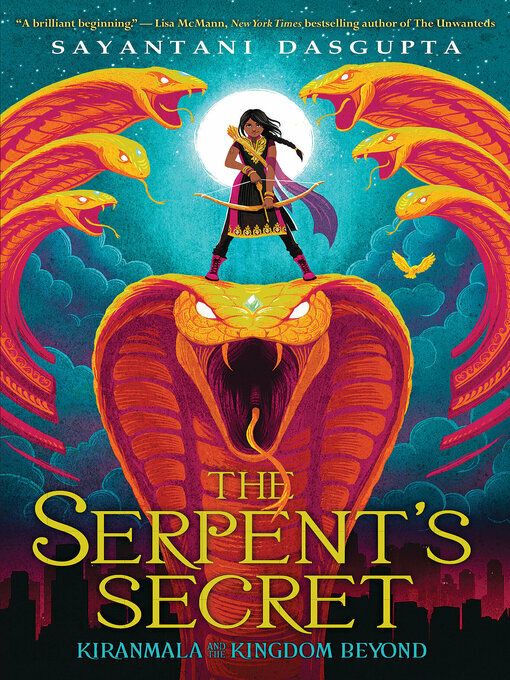 And later the protagonist Kiranmala's mother tells her, "Everything is connected to everything." I like that so much more than the good triumphing over evil trope found in so much western literature, including the Harry Potter series. The day my parents got swallowed by a rakkhosh and whisked away to another galactic dimension was a pretty craptastic day. She's the daughter of Bengali immigrants who run a convenience store in Parsippany, New Jersey, and her best friend's family has a diner. I like how DasGupta centers the merchant class experience. I also like that she makes sure to expose their struggles, as well, like when Kiran is put in the "undocumented scoundrels" line to enter the other galactic dimension and observes "This place could use some immigration reform." "Even though I believe more in demonic violence prevention and restorative justice than actual demon slaying." That sentiment calls Harry back to mind, and Buffy. Do demons have to be so...demonized?